Roma midfielder Daniele De Rossi suffered a foot fracture during his club 2-0 win at Empoli on Saturday. 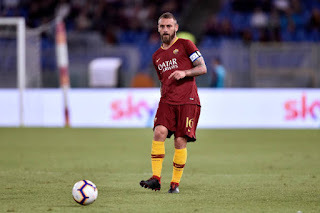 De Rossi played the entirety of Roma’s trip to Empoli but showed signs of discomfort early in the second half. According to report, the midfielder underwent tests on Monday, which revealed a fracture to the fifth proximal phalanx in his left foot.